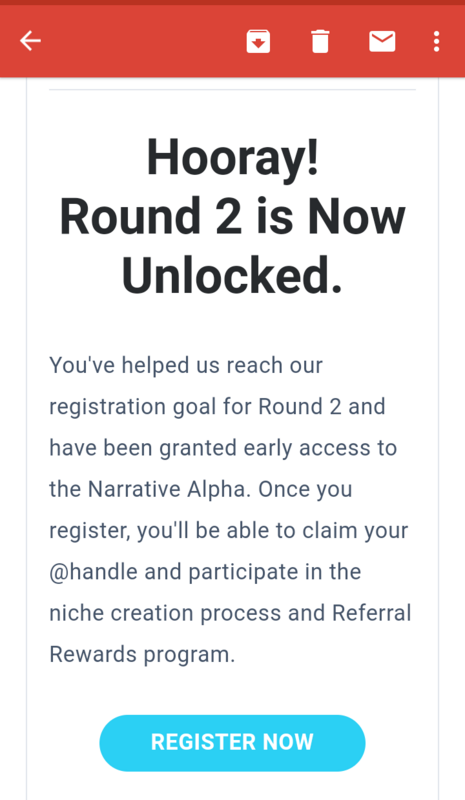 Round 4 For Registration in Narrative is On! Claim Your Spot Now To Earn NRVE tokens! Narrative is a platfrom similar to Steemit baaed on NEO blockchain where content creators are rewarded for creating content and curating the contents. Currently it is is in the alpha stage. 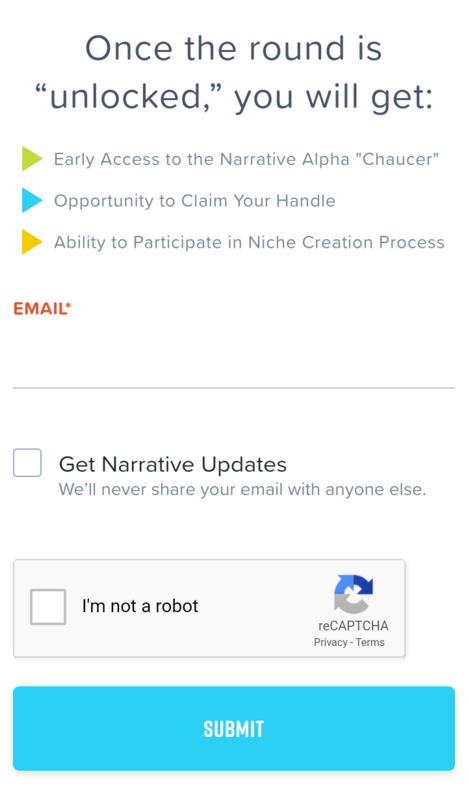 It has already started the regiatration and you can be an early adopter of narrative now. How to Claim your spot? To register go to the link below and enter your email and click submit. After some days you'll receive an email for registration as below. When the round 4 is unlocked click on the Register in your email. Then you'll be directed to the interface as below. Enter your name and a unique @ handle . 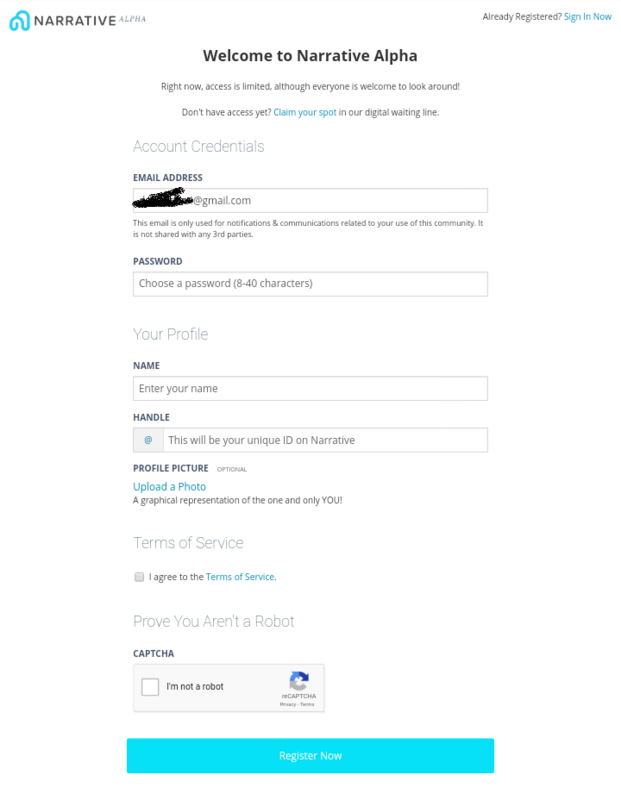 Then you'll have to verify your email. Now you are registered to Narrative. You can earn NRVE tokens to refer your friends now. And you can keep your account and earn by creating and curating content. Congratulations! This post has been upvoted from the communal account, @minnowsupport, by neupanedipen from the Minnow Support Project. It's a witness project run by aggroed, ausbitbank, teamsteem, theprophet0, someguy123, neoxian, followbtcnews, and netuoso. The goal is to help Steemit grow by supporting Minnows. Please find us at the Peace, Abundance, and Liberty Network (PALnet) Discord Channel. It's a completely public and open space to all members of the Steemit community who voluntarily choose to be there.